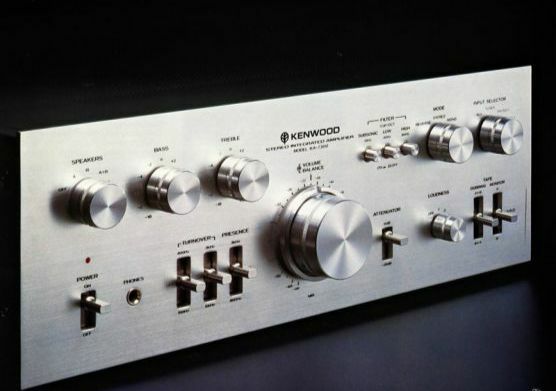 The Kenwood KA-7300 is another great example of vintage integrated amplification. The KA series of amps came in several wattages and featured different options through that line. I have been using this amp in the studio, to power the output of my computer and my near field mixing monitors. Every knob, button and switch on this amp works like new and it sounds fantastic. One of my earlier acquisitions and I found it in very good shape. I had controls cleaned and lubed as well as work done on some of the amplifier sections. That was several years ago and the unit stills performs without a peep, hum or pop! This was before meeting Mike at Hudson Valley Hi Fi and I am sure he might have other suggestions for keeping it fit. 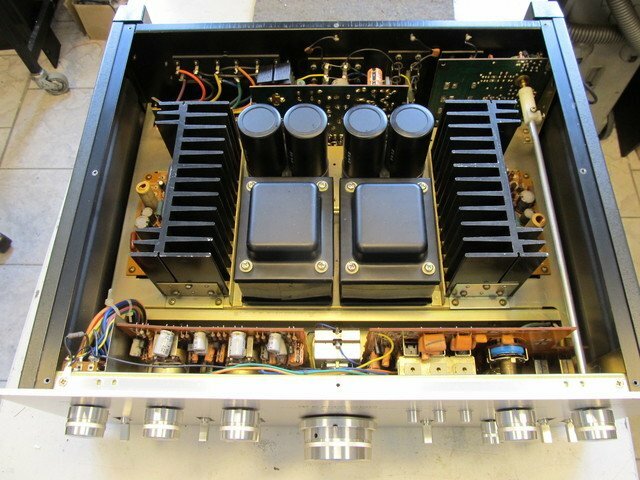 A popular design in this era of amp building was to employ a dual power supply. Two, transformers, two sets of filter caps and dual amp sections. This had to be a costly design but this was during the day when the race was to the top and these units were built to last at least one life time, if not more! What would it cost to buy in todays dollars? I can not imagine but if you could find such a design today I am sure it would be out of my league and reserved for the most serious of audiophiles. Pretty amazing that, although not inexpensive at the time, they were within reach for many and allowed them to experience great music reproduction. Vinyl (turntable) was most likely the input source most used and the phono preamp sections are top notch as well. Hey folks……..when their gone, their gone and believe me, they don’t build them like this anymore! Yes, I can see where this amp would be great to check mixes with it’s fixed but well placed eq turnover points. You can quickly reference these as well as the low and high cut filters on the front panel to compare how well the mix does in those areas as well as flat.